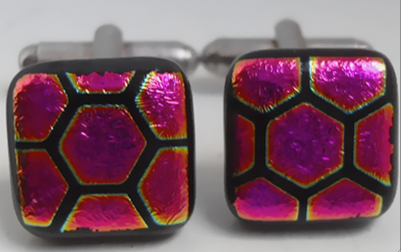 This is smaller rectangular shaped version made of Black/Gold honeycomb pattern on Magenta Dichroic glass. 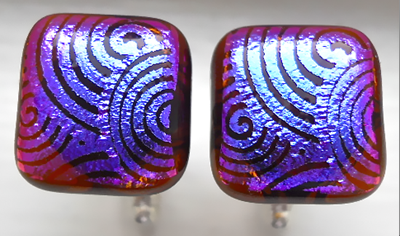 The Gold in the design shines in the light. 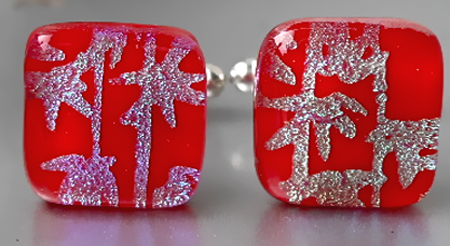 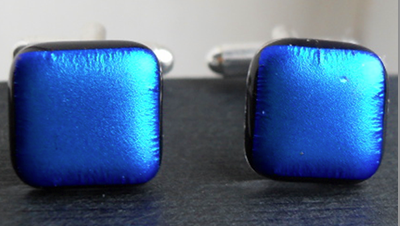 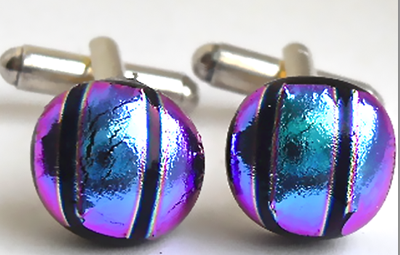 Small unisex cufflinks. 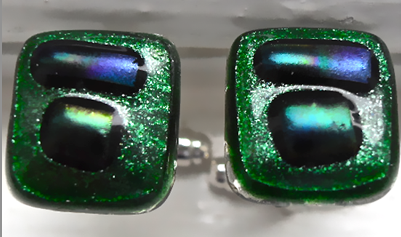 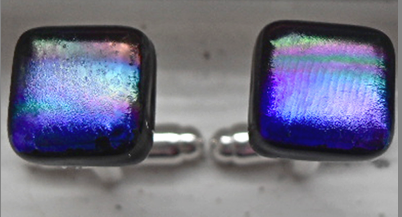 Petrol Blue with Purple and Green Dichroic glass. 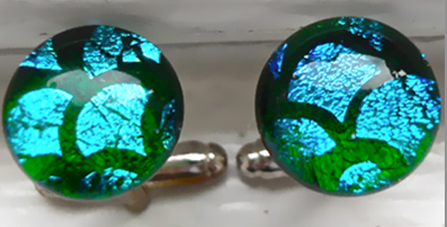 Small round unisex cufflinks. 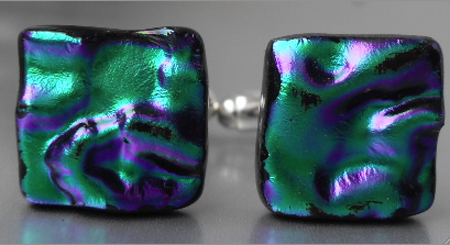 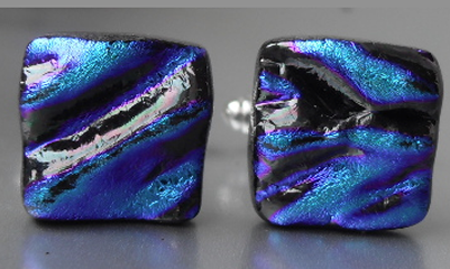 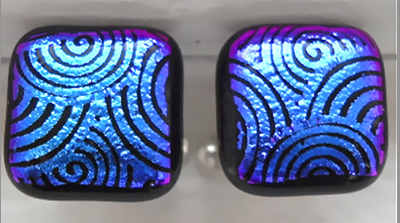 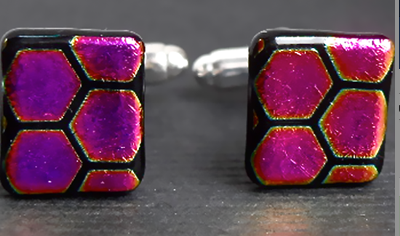 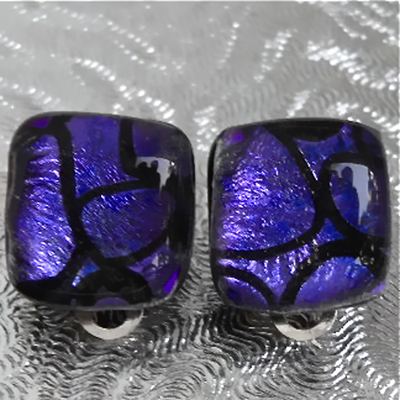 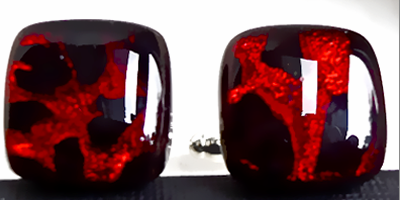 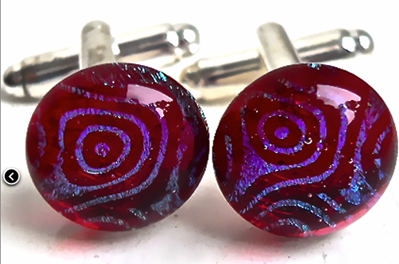 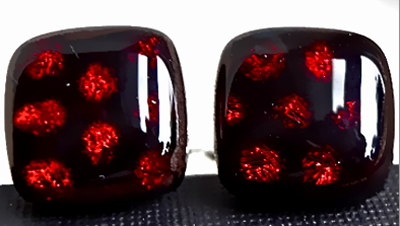 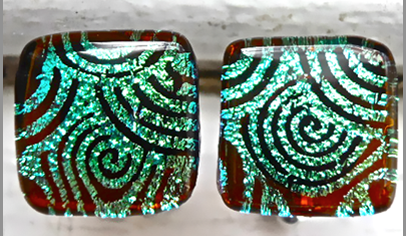 They are made of Magenta/Blue/Black striped Dichroic glass. 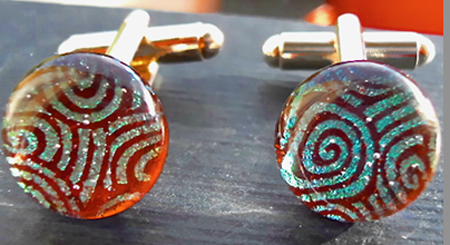 These cufflinks are light Pinky Brown with a swirly Gold pattern.